Bear-tannia! All Hail the Bear!! Oh yes, it just keeps getting better. 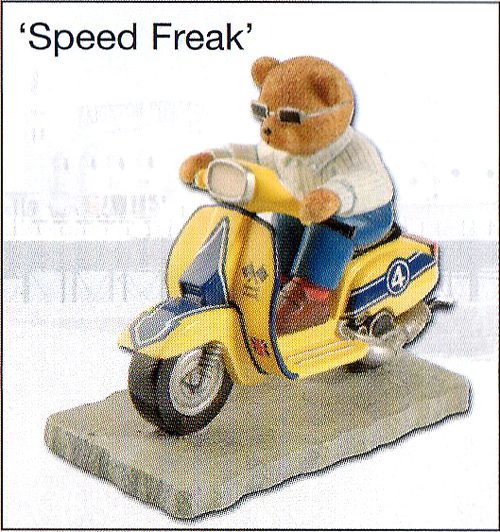 As you saw from the post before, the Bradford Group, a collectibles company in the UK, makes a figurine of a mod teddy bear riding a scooter. 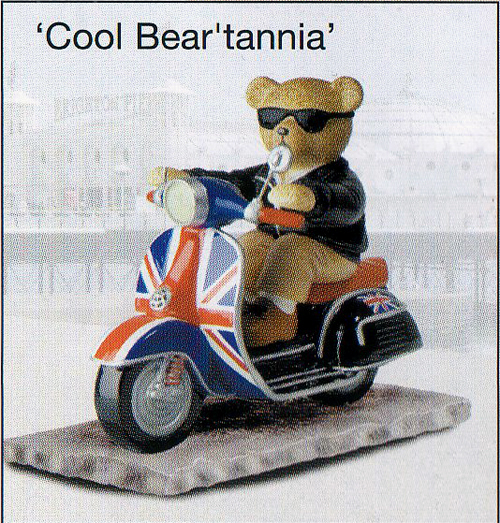 But they plan to make four scootering bears in total. 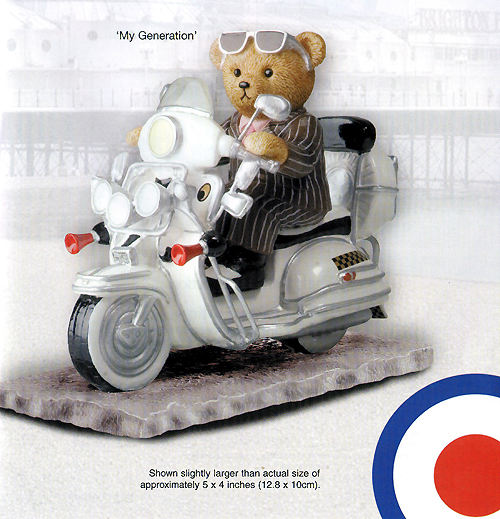 “Ready, Teddy, Go” is just the first in this collection. So send a quick e-mail to these lovely Brits and tell them to let you know when the other bears are out if you’re interested. Speaking of lovely Brits, thanks to ScooterStu for scanning his brochure in for me and keeping me informed. This entry was posted in Models, Figurines by Tracy. Bookmark the permalink.